A little over 6 weeks ago, over 20 members of CrossFit Fort Wayne, the "box" I go to, began the CrossFit Open Workout, which is the first stage of three in Reebok's CrossFit Games. The Open Workouts give everyone in any CrossFit box around the world the opportunity to see where they stack up in their own box and against other athletes. I know our box was energized about it because many athletes have been working all year in the gym. Here is a video of what one of the Open Workouts included. New Team NeighborLink member, Rachel Fuelling, competed in her first CrossFit Open Workouts event through CrossFit Fort Wayne. The picture below is after Workout 13.5, in which Rachel attempted to get 15 Thrusters and 15 Chest to Bar Pullups done in 4 minutes. Rachel wasn't able to get them all done, but she wasn't alone. I believe only one of those 20+ competitors that participated in it, did. 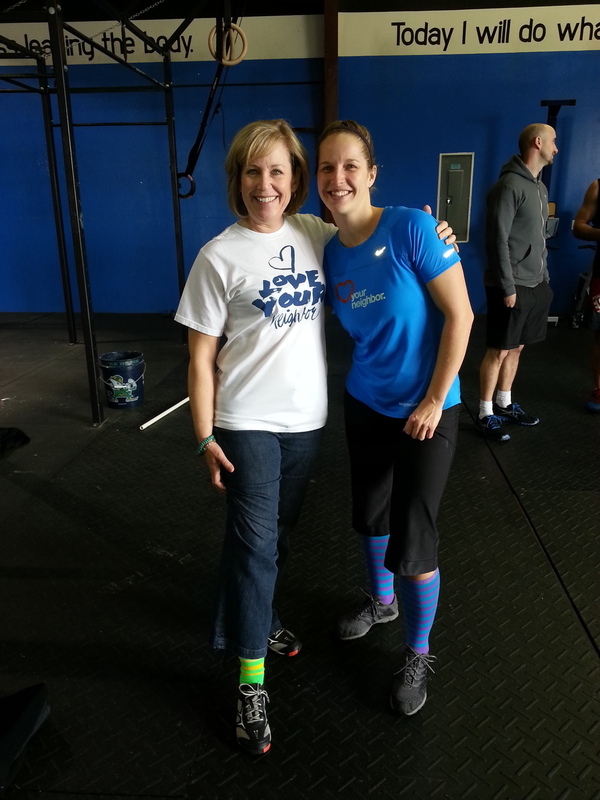 Congrats, Rachel, and thanks for supporting Team NeighborLink with me at CrossFit Fort Wayne. Rachel with another NeighborLink supporter, Ann. Ann was there to cheer Rachel & others on.